Turn of the century resort. _LMPOA monitors lake water levels throughout the year. 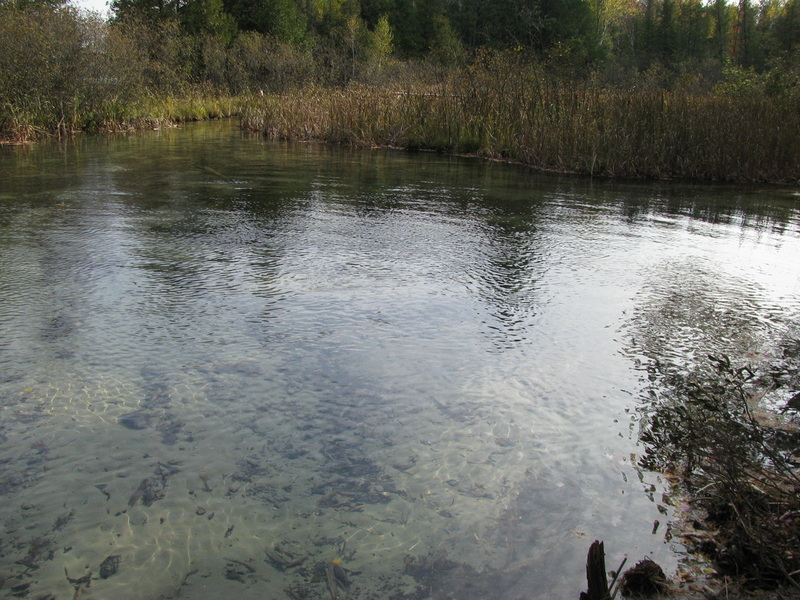 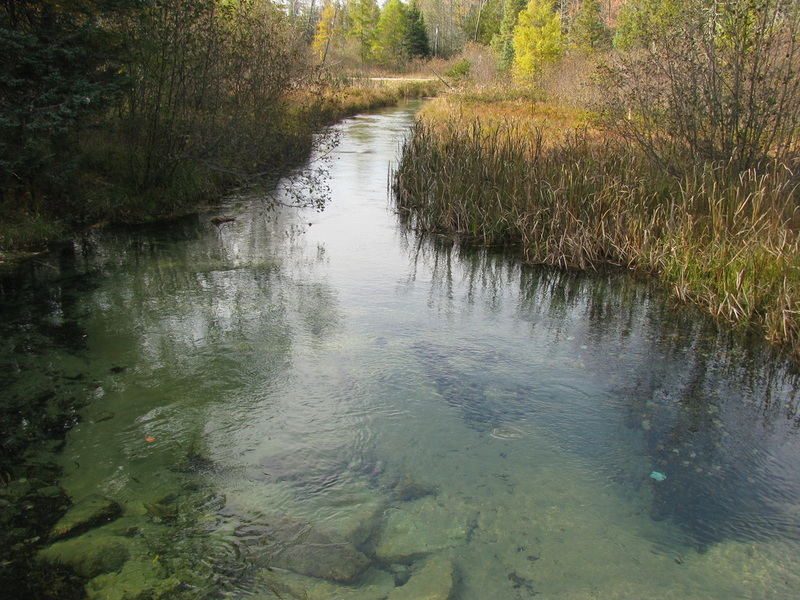 Lake water levels are partially controlled by the flow at Portage Creek which flows from Lake Margrethe to the Manistee River. 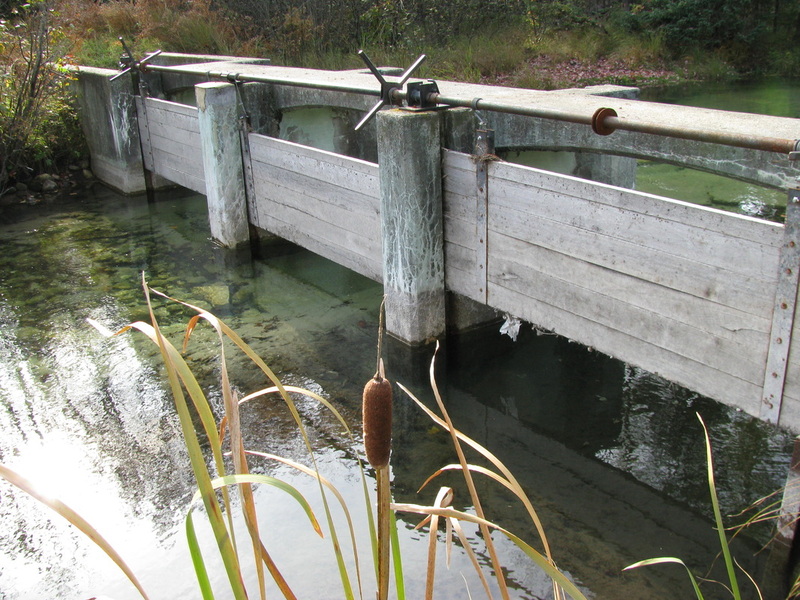 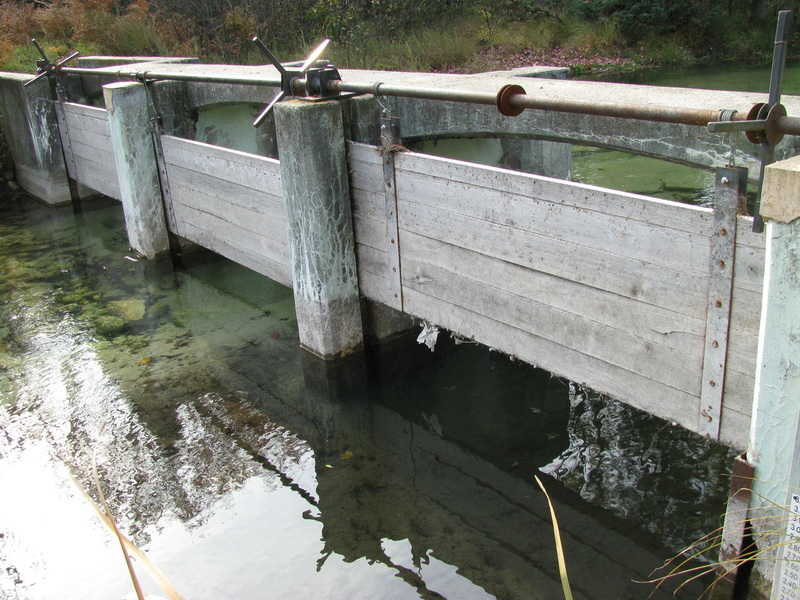 LMPOA manages and operates the Portage Creek Dam to help maintain the court ordered lake levels. 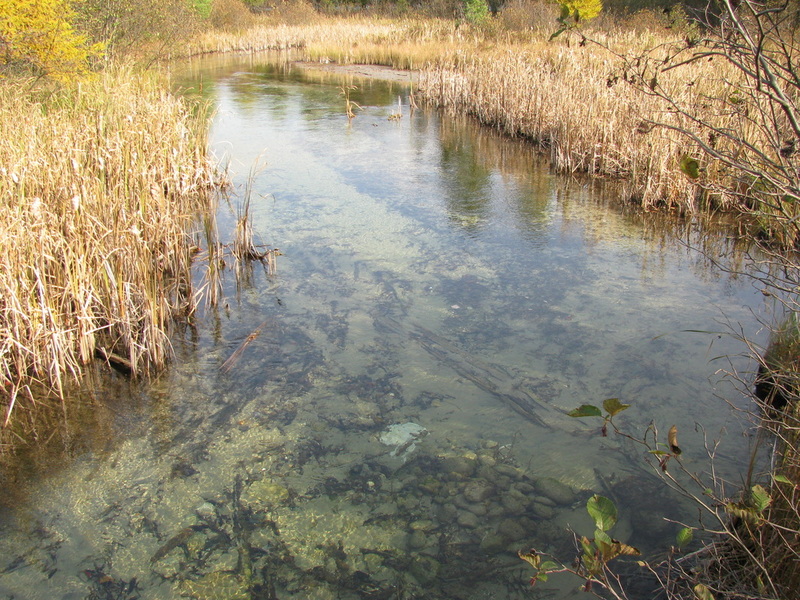 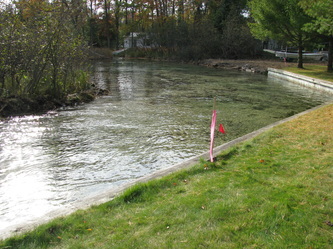 The creek was dredged in 2009 to assist in lowering the lake level during the winter months. 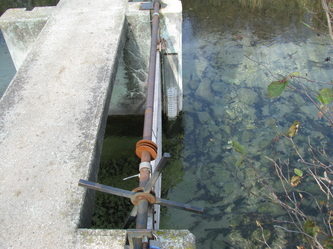 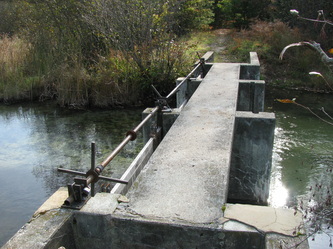 Outflow control at the Portage Creek Dam, in addition to rainfall and evaporation all determine the water level of the lake. 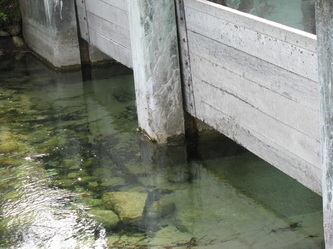 The chart shown below tracks water level measurements in feet above sea level, at the Porter seawall during 2014. 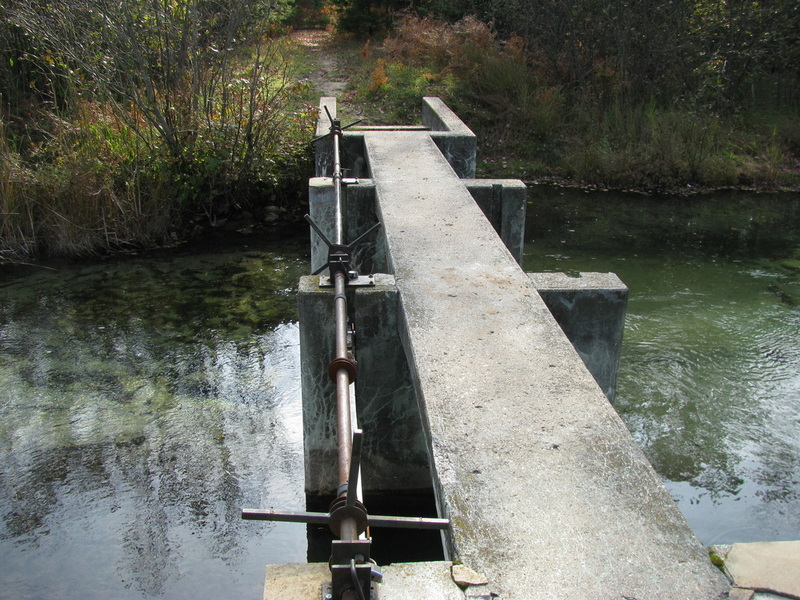 This data is compared to the court ordered levels which are expressed as a fine red dotted line. 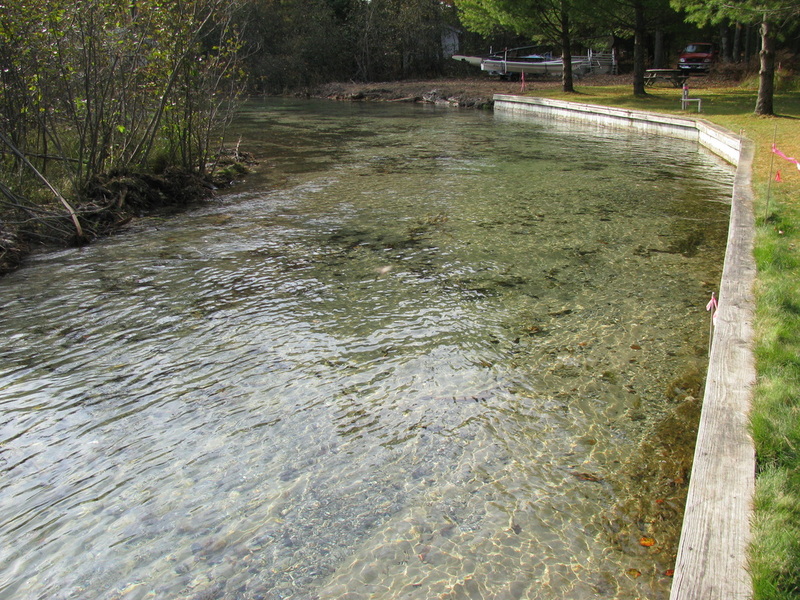 Spring water levels were about 6 to 8 inches higher than the court order levels. Summer levels are about equal to the ordered levels. _The water level of Lake Margrethe was established in 1973 in the Circuit Court of Crawford County. 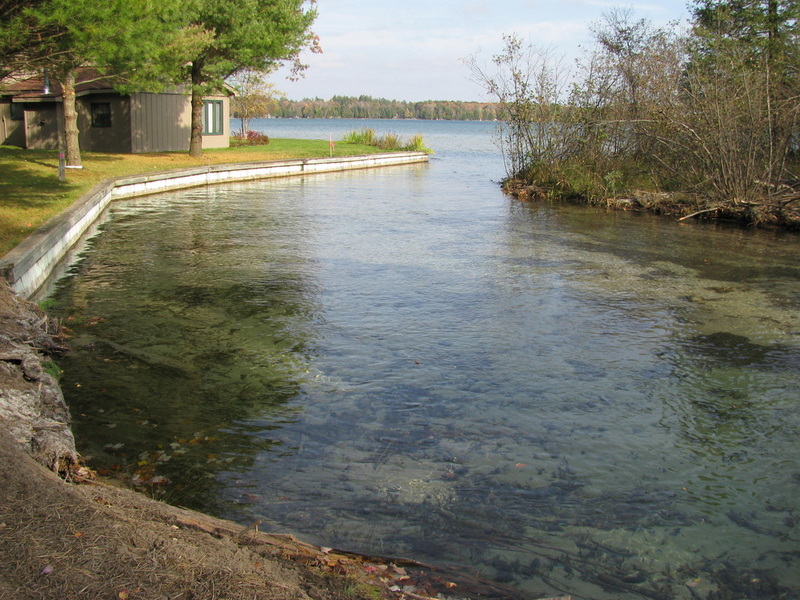 The normal level of Lake Margrethe is 1,134.4 feet above sea level from April 30th of each year and continuing until November 1st of each year. 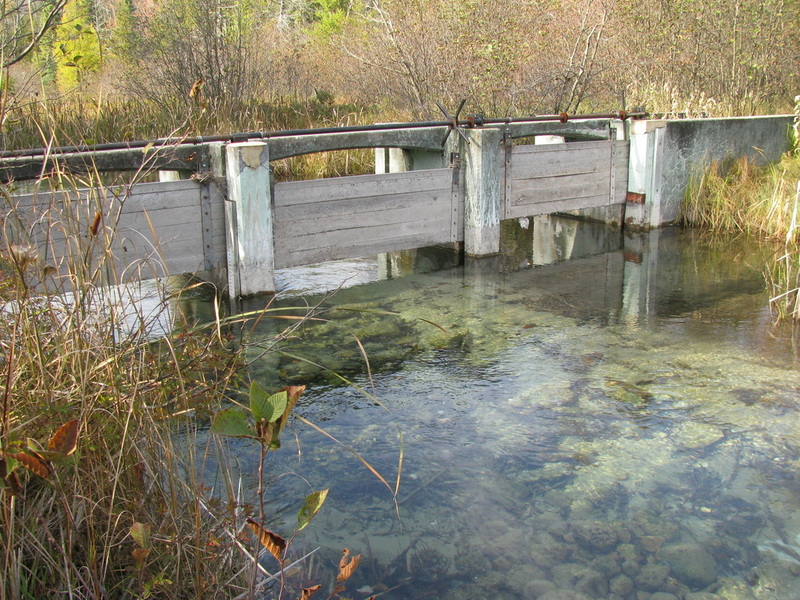 After November 1st, boards are removed from the Portage Creek Dam, and the lake level is reduced to 1,133.7 feet above sea level. This reduction in lake level prevents ice damage to the shoreline during the winter and spring thaw. 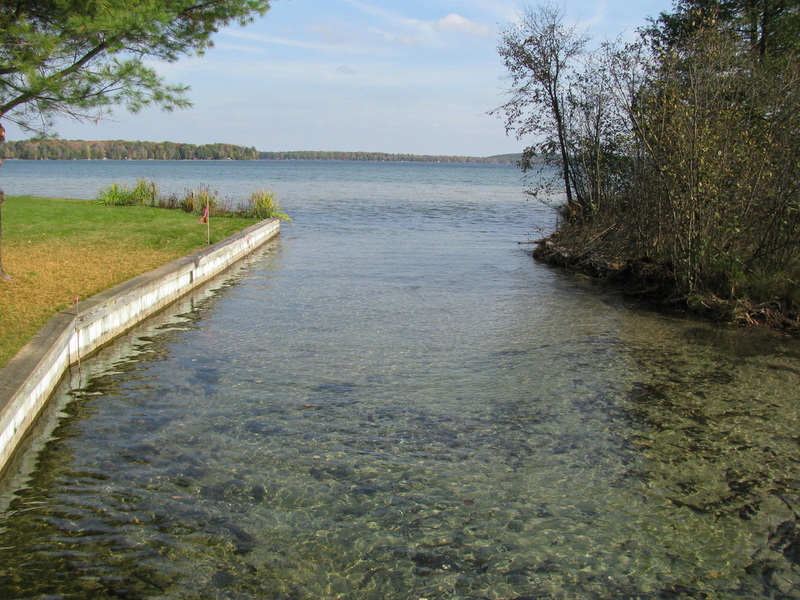 The court order of 1973 was established in accordance with the provisions of Public Act 146 of 1961, known as the Inland Lake Level Act. More information and the full court order can be read by clicking here. 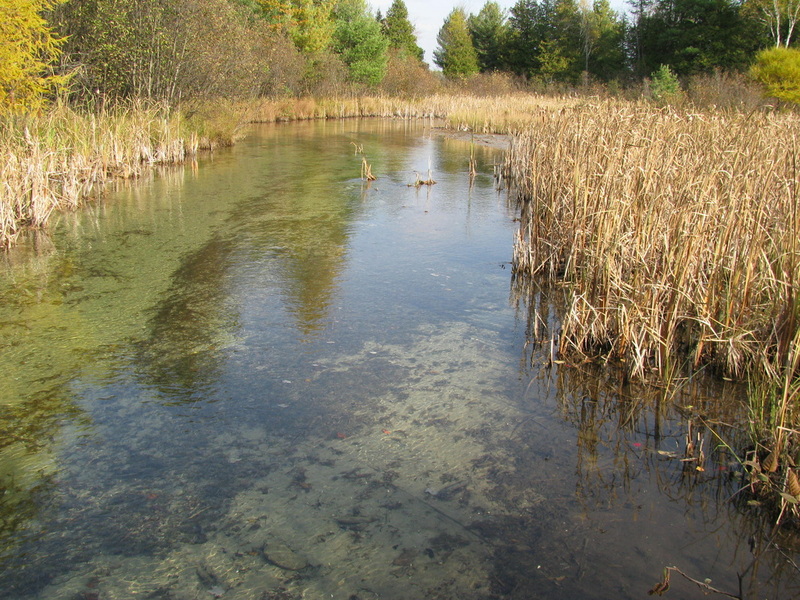 Portage Creek helps control the water level of Lake Margrethe.